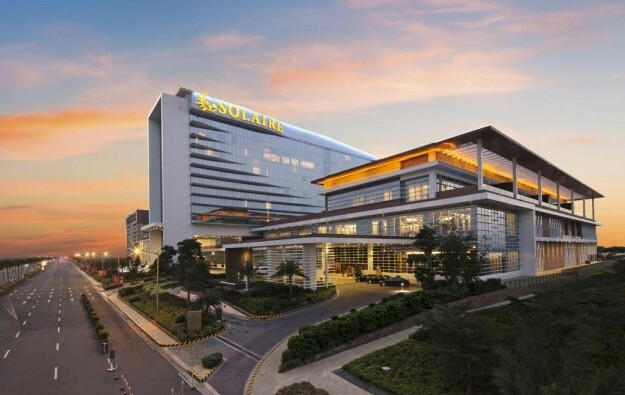 State-run casino operator and regulator the Philippine Amusement and Gaming Corp (Pagcor) can now proceed to direct negotiations for the disposal of two parcels of land where Solaire Resort and Casino (pictured) stands in Manila, the Philippine capital, an industry source told GGRAsia. Pagcor can now engage in direct negotiation after two failed rounds of public auction in, respectively, November and January, the person added. In November, Pagcor had launched an auction for disposal of the two plots, but no bids were submitted. In January, the body launched a new auction, but received a single bid for the two land parcels. The only bid was submitted by Sureste Properties Inc, a wholly owned subsidiary of Bloomberry Resorts Corp, the owner and operator of the Solaire property. Under Pagcor’s public bidding rules, there must be at least two qualified bids in order for the process to be considered to be valid. “They [Pagcor] didn’t even have to open the bid,” said the industry source. “Pagcor is now free to negotiate with interested parties that want to purchase the land,” the person added. The minimum bid price for the combined plots – amounting to 160,359 square metres (1.73 million sq feet) – was PHP37.23 billion (US$739.0 million), according to Pagcor documents. Pagcor could now try an alternative route for privatising the land by negotiating a sale directly with a potential buyer, including Bloomberry. GGRAsia approached Pagcor for comment, but no reply to our enquiries had been received by the time this story went online.